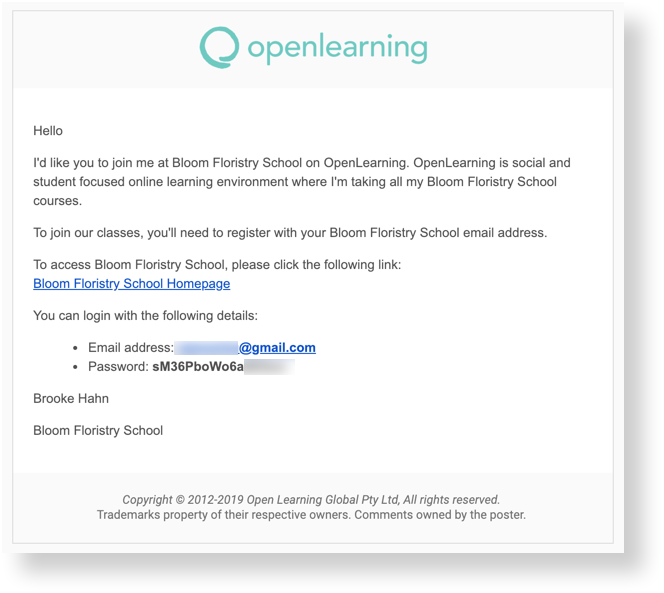 What do emails sent from OpenLearning Institutions look like to students? To customise your institution welcome email, simply go to Institution Settings > Settings > Appearance. 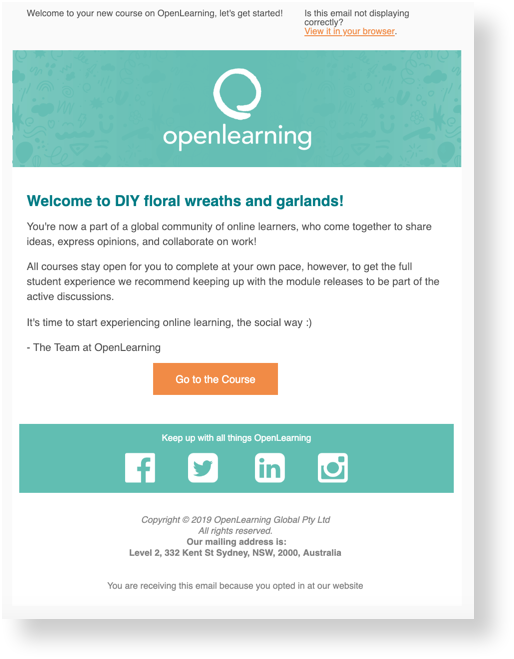 This email is received when students are invited into a course. You can enrol students into a course while inviting them into the institution or at a later time. 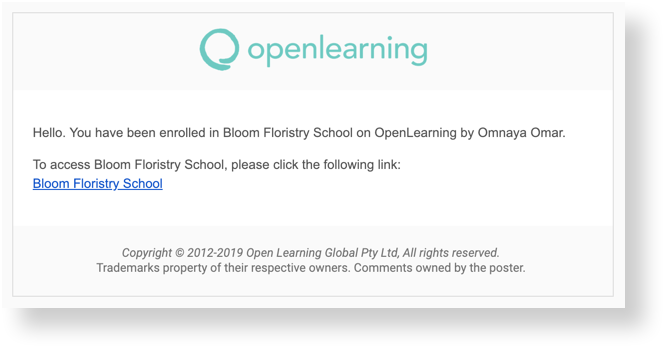 When OpenLearning creates an account for a new user, the user will receive an email with their password and login information.